Posted on November 17, 2017 at 5:03 am. 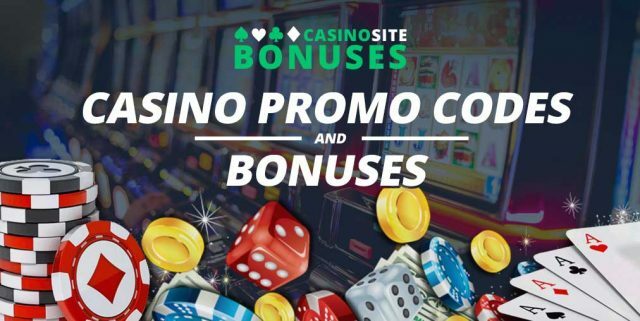 Want a match deposit bonus or an extra spins promo code? You’ve come to the right place. We take a look at the best offers at some of the best online casinos, so you can give your bankroll an added boost. We also include links to the full promotion so you can find out more about the wagering requirements and other necessary information. Take a look below to see what offers you can claim in the next week. Deposit between £20-£49 to receive 10 extra spins on Friday, Saturday and Sunday for a total of 30 extra spins over the weekend. Deposit £50 or more to receive 20 extra spins on Friday, Saturday and Sunday for a total of 60 extra spins over the weekend. Thursday Triple at Guts casino here. Casino-Mate wants to give its players the chance to claim free spins on its new addition from BetSoft next week. The online casino software developer is releasing a new 3D title known as Stampede. Players can claim 20 free spins to use on the new 1024 ways to win title by making a deposit of at least $20 between November 23 and November 25. Select the STAMPEDE option to claim your bonus when depositing. You will need to wager the winnings from the free spins 50x before withdrawing cash and winnings are capped at $200. Find out more about the Casino-Mate Stampede bonus here, as well as other new releases at the online casino. Casino-Mate isn’t the only online casino offering free spins on BetSoft’s new release. Make a deposit of at least $20 at House of Jack between November 23 and November 25, and enter the promo code ‘STAMPEDE’ to receive 20 free spins on the new poker machine. The free spins winnings carry a 40x wagering requirement and they expire within 30 days. Want to know more? Check out what these guys have to say about the Stampede bonus at House of Jack, which will be available when the game goes live next week. Missed out on the weekend free spins at Guts Casino? You can claim a match deposit bonus and 15 free spins on Monday. To qualify, make a deposit of at least £20 and enter the promo code ‘DOUBLE’ to receive a 40 percent match deposit of up to £40. Guts will then credit your account with 15 free spins on Tuesday, which you can use on the Game of the Week. Go to the promotions page to find out what game Guts has selected. You need to wager the bonus at least 35 times, while winnings from the free spins are wager free. Find out more about the Double Deal Monday offer at Guts casino here. Wednesday night is Gentleman’s Night at Slots Million casino, and male players can claim as many 40 percent match deposit bonuses as they like within a four hour window. While ladies are spoilt on Friday Night’s at the online casino, gentleman can head to Slots Million, create a real money casino account and claim the bonus on Wednesday nights. Make as many deposits as you like between 7pm and 11pm (in your time zone) to receive the 40 percent match deposit bonus, up to a maximum of €/$100 each time. You do need to have made a deposit at Slots Million before claiming the bonus, so do that between now and Wednesday night. You also need to make a minimum deposit of €/$25, while each bonus needs to wagered 35x before you can make a withdrawal. You can find out more about Gentleman’s Night at Slots Million here. Find out more about Bitcoin Cash at Bovada here.